The previous chapter surveyed the Keynesian-type mechanism of leakages and injections which underpin Marx’s reproduction schemes and hinted at the consequences of a loss of balance between them. It also outlined the idea of shock absorbers that tend to stabilise the capitalist economy, despite the anarchic character of its operation and development. 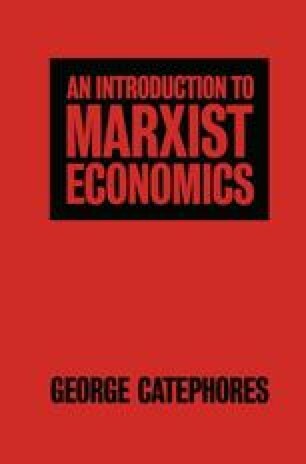 These same ideas will be considered again in the present chapter from a slightly different point of view: that of the interplay among the various specialised sections of capital and among the strata of the bourgeoisie which represent capital by owning it. (For the idea of people representing social relations incorporated, ‘reified’, in objects the reader might wish to refer back to the section on commodity fetishism in Chapter 2.) An explanation of the periodicity of the economic cycle will be attempted along these lines.